A team of pros shares the perfect game plan to get grooms-to-be through those four important words. How did you two meet?” Couples are frequently asked the question before they explain the details of their story. Just like the memory of how they met, the proposal will be recounted for decades. Wedding professionals are now turning their attention toward men to help plan every aspect surrounding the proposal of their sweethearts’ dreams. From horseback riding on the beach to candlelit dinners, where there’s a will, there’s a way for grooms-to-be to get down on one knee. More often than not, it’s with the counsel of a few experts in his pocket beside the little velvet ring box. Avani Modi, marriage proposal planner for Ever After Proposals based in New York City, spent seven years as a corporate event planner before dedicating her career to helping men perfectly pop the question. “Men are often so consumed by ensuring they remember the four C’s of an engagement ring (cut, clarity, carat and color) that once it’s purchased, they’re scrambling to get it out of their pocket and onto their girlfriend’s finger,” she states. “That’s when they have that ‘uh-oh’ moment and realize they need a plan of action … to propose.” Most hopeful men come to Modi with a general idea about the proposal, but aren’t sure if their ideas are feasible, unique and will impress their girlfriends. Part of knowing how to create the perfect proposal, according to Modi, is knowing what not to do. Don’t forget the photographer, she explains. “While a family member or a friend can just as easily do the job, a professional photographer has a trained eye (and of course, the fancy equipment) to really help you relive those special moments. Take it from Lavin, who orchestrated his own proposal to his wife: Asking someone to be your lifetime companion is one of the most personal experiences you’ll ever have. It’s important that the memories of the day are as meaningful as the answer she gives. To make those moments picture-perfect, gentlemen shouldn’t hesitate to call on the experts. The perfect proposal always begins with getting to know the couple and brainstorming for out-of-the-box ideas. Fresh ideas ensure that no two proposals are the same. When detailing what gives popping the question the extra pop, gentlemen should first consider what will make the day significant for ladies. Once the proposer has an idea, it helps to use the pros as a sounding board for developing the finer details of the plan. 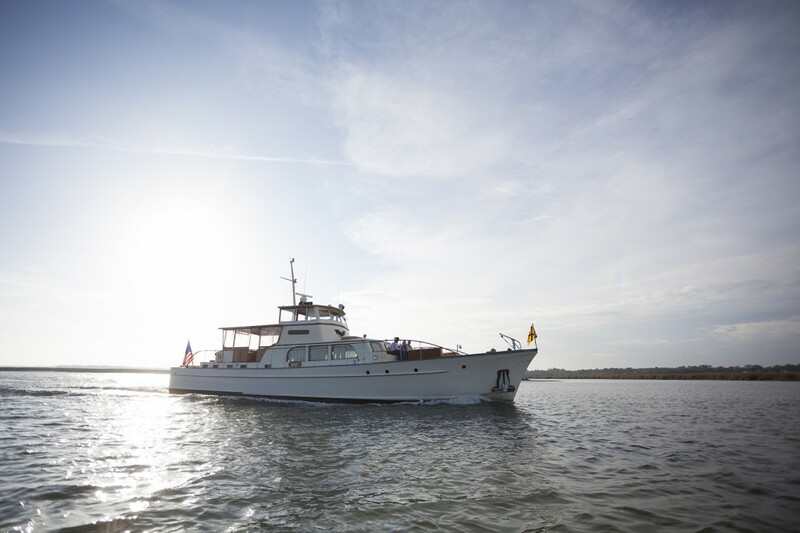 The wedding team at Sea Island is one of many proposal lifelines. They can take any gentleman’s thought and boost it to the next level—while ensuring he still gets all the credit. A smooth proposal outline is also critical. Make sure all details are ironed out and anticipate anything that could go astray. This will help men think on their feet and improvise if needed. Then, all that’s left to do is celebrate. While many men plan out exactly what they’ll say when they ask the big question, above all else, they should remember to speak from the heart. To avoid making a speech, think about a few key points that are significant, but leave the rest to the moment. Although the crescendo of the occasion is the heartfelt inquiry, women appreciate a denouement to begin celebrating the engagement. “Don’t stop with the question,” Lavin emphasizes. This is a memory that will never be forgotten. Curate what leads up to the big moment as well as the 24 to 48 hours following it. Each couple is different, so there is no one formula for the perfect proposal. That means the possibilities for celebrating a recent engagement are endless. “The ultimate proposal is always unexpected and over-the-top, while never deviating from the simple sincerity of the occasion,” Lavin says. 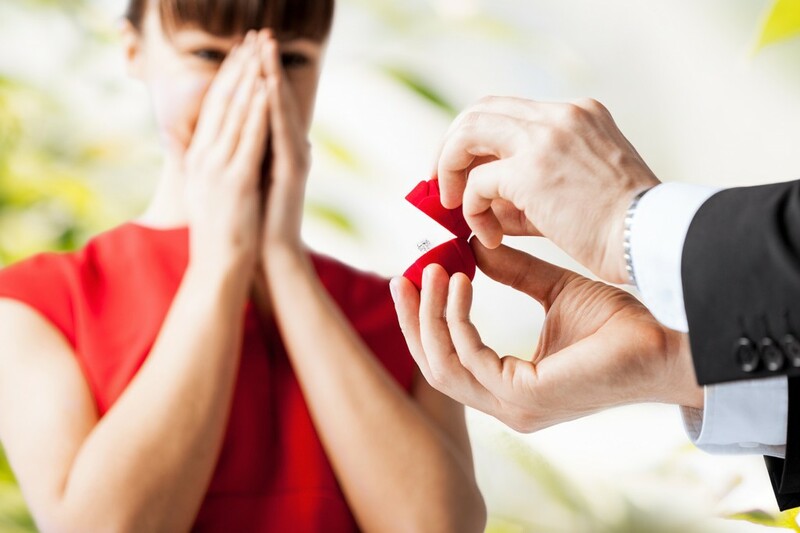 He has followed these simple principles to assist in planning many perfect proposals—each of them uniquely personalized for the special couple. Among them, he says, the most memorable have been carefully thought out and utterly genuine. 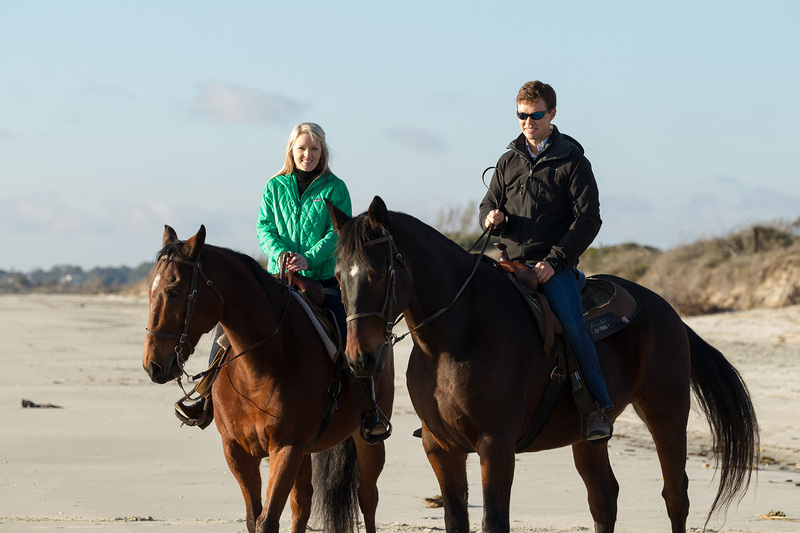 Trevor proposed to Madeline after a horseback ride on Sea Island. The couple arrived at Rainbow Island early on the day before Christmas to meet their guide, Forrest, who had assisted with the preplanning. Meanwhile, photographer Tim Zielenbach, whom Holland had hired, was hiding in the marsh grass and started snapping pictures. “After riding for [a while], Forrest gave me the cue,” Holland recounts. “He said the horses needed to rest before we headed back, so he suggested we take a walk on the beach. I slowly guided Angela down to the planned location. Everything I said from that point on was a little fuzzy.” After Holland asked Mattox the big question and she said yes, Zielenbach came down to congratulate them and take a few photos to capture the special moment. They rode back to Rainbow Island where the couple’s families were waiting. With the assistance of Sea Island’s staff and a knowledge of the activities available at the resort, his proposal was one for the history books. Food is another way to use Sea Island’s amenities to tie the past into a heartfelt proposal. Aside from a custom menu, consider personal elements such as a favorite song, shared hobby, memory at the island, bottle of wine or even the people who are close to her heart. With a team of experts, a carefully laid plan and a memorable location, any groom-to-be is sure to get on one knee with confidence. All that’s left for the happy couple is to enjoy their time together before they begin planning their perfect wedding. For more information on Sea Island proposals and weddings, visit seaislandwedding.com or call 912-634-4422.